As per a report, the Japanese two-wheeler maker Suzuki is busy working on a new 250 cc motor in India in collaboration with the company’s engineering team in Japan. This new 250 cc engine could mean that a new Suzuki Gixxer 250 cc is going to launch in the huge Indian bike market. Reports from various sources have confirmed that Japanese 2 wheeler maker Suzuki is currently working on 250cc engine in India. The company is said to be in collaboration with Suzuki’s Japan engineering team. Details on development of 250cc engine suggests that the company shall offer Suzuki Gixxer 250cc in India’s tremendously growing 2 wheeler industry. Speculations so far suggests that the motorcycle with new engine can be launched in concept form first and once could even expect a bike showcase in Delhi’s 2016 Indian Auto Expo. 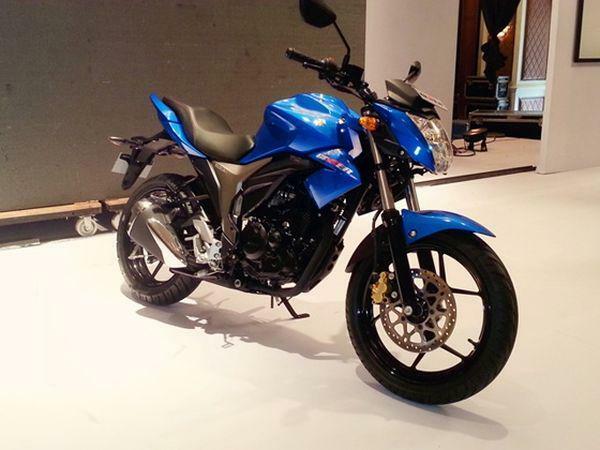 The official launch of 250cc Suzuki Gixxer can happen at the end of 2016 in India. Although, exact details are not available at this point in time, it is highly likely that new motorcycle by Suzuki shall be powered by new 250cc single cylinder petrol engine which is mated with 6-speed transmission gearbox. This new engine from Suzuki is expected to deliver a maximum power of around 25 to 28 PS. The basic design of expected Suzuki Gixxer 250 shall be similar to that of Gixxer 155cc model, as Suzuki has been immensely successful with Gixxer 155cc model in India and following the success principle is not a bad idea at all. This 250cc motorcycle from Suzuki is expected to come with different dimensions than that of its predecessor. Japanese automaker’s next big Suzuki Gixxer 250 is expected to have disc brakes for both front and rear wheels and suspensions are expected to be front telescopic forks and a rear monoshock unit.